1000 Trades in an independent neighbourhood bar and kitchen in the Jewellery Quarter, Birmingham. Co-founders, Jonathan Todd and John Stapleton, were able to breathe life into this listed building through the celebration and championing of craft. This starts with craft beer and wine, and runs through to kitchen residencies by food entrepreneurs. Local artists are also provided with the opportunity to showcase their art throughout the building. Outset Finance helped 1000 Trades in securing two Start Up loans worth £50k, enabling the founders to retain their equity. Without these loans, the founders believe that making their vision a reality would either not have happened at all, or have taken a lot longer to bring about. 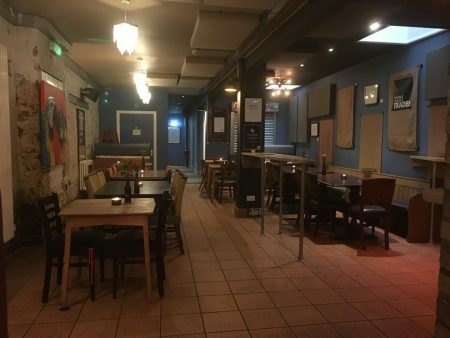 The loan will allow them to convert the attic space above 1000 Trades into another bar, which will serve cocktails, where they look to create a relaxed atmosphere. ‘Outset Finance has benefitted our business by helping us secure the funding that is helping us realise our vision quicker than would otherwise be the case’. Now with a strong and clear vision for their business, Jonathan and John have had to work through many challenges in starting up 1000 Trades, from finding a property, renovating the property, getting the right staff and delivering their kitchen residency model. They believe that the key to getting through these challenges, has been continued belief in their vision. They told us that having a vision that you believe in, and which you can convince other people to believe in and value, is fundamental. They continue to receive business support from Outset via one of our mentors, advising on financial and marketing activities. Jonathan says that, “Our mentor seems a great guy with fantastic experience, so we look forward to benefiting from his insight”. 1000 Trades feel there is unfulfilled potential in Birmingham, and that they can assist Birmingham in realising this by bringing something different to the city. In due course, they would like to open further outlets. They feel that we have a model that can work at more than one location, provided they select the right locations.